The costs of persistent misalignment between the supply and demand for skills are substantial, ranging from lost wages for workers to lower productivity for firms and countries. Addressing skills imbalances has become a pressing priority as OECD governments reflect on the implications of technological progress, digitalisation, demographic change and globalisation for jobs and work organisation. In light of these challenges, the OECD has undertaken new research to shed light on how countries measure changing skill needs while ensuring that employment, training and migration institutions are responsive to the emergence of new skill requirements. 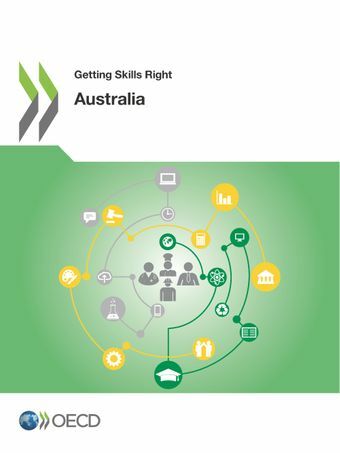 The Getting Skills Right in Australia review offers an in-depth analysis of the existing skill assessment and anticipation system in Australia, and makes recommendations for how it could be further improved. In addition to providing a summary of the state of skill imbalances in Australia, the report provides an assessment of practices in the following areas: i) the collection of information on existing and future skill needs; ii) the use of skill needs information to guide policy development in the areas of employment, education and training, and migration; and iii) the effectiveness of governance arrangements in ensuring strong co-ordination among key stakeholders in the collection and use of skill needs information.